This beautiful 4 bedroom, 3 full bath home is situated on a 40,000 SF SEMI OCEAN FRONT lot in the small, exclusive gated community if Spindrift. It offers a beautifully landscaped lot with turf and irrigation. Large 2 car detached garage that could easily be converted to an awesome pool house/outdoor game room if you choose to rent the home. In addition to the garage there is also a large (194 SF) storage unit under the house and two large outdoor showers. All exterior areas, including under the house are meticulously maintained and groomed. This home has wide, sweeping, panoramic views...better than some ocean front home. 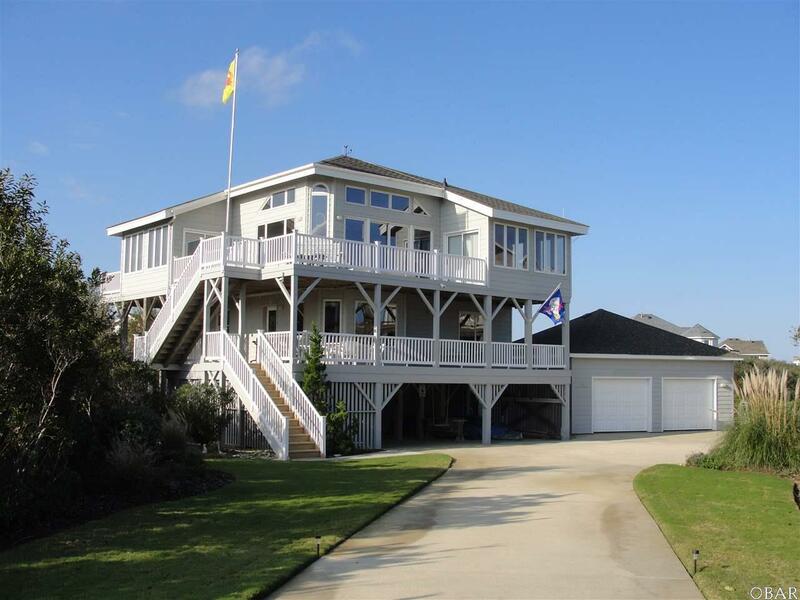 And the beach access is just steps away from your front door. This home is being offered by the original owner who had it custom built by Pete Hunter in 1987. However, the home shows like new. Nothing is original and many recent upgrades make ownership here worry free for years to come. In addition to 2X6 construction and being a Certified Energy Saving Home (as evidenced by the power bills) the home features low maintenance vinyl cedar shake siding, vinyl hand rails, deck restore coating on all decks. Roof was replaced in December 2016, Heat Pumps were replaced in December 2012 and 2013 with Trane Units and they are under annual maintenance contract. Windows are Anderson vinyl clad casements/dbl hung. Casements have stainless workings. Inside has maintenance free juniper and a 5/8 thick distressed wood paneling. This is not your normal paneling and would look amazing painted white with a white wash. Home has two wells, one for home and one for irrigation. Water quality is amazing but if you prefer city water the water tap has been paid and will transfer at closing. Owner had home Re-treated for termites in 2009 as maintenance and home is under a termite bond. There is no history of termites. Kitchen has been upgraded with beautiful granite counter tops and the bathrooms have all had upgrades. 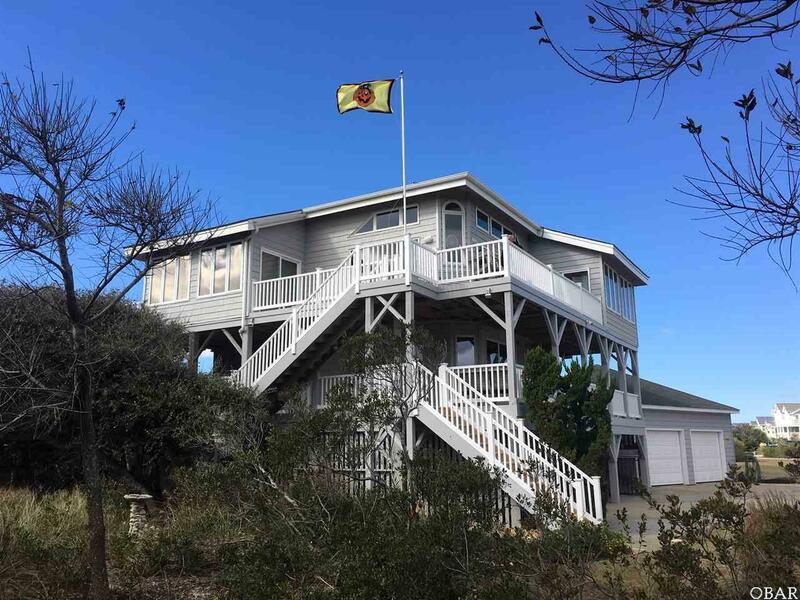 Front screen porch was converted to a beautiful sun room with amazing views and the back screen porch off the top floor master was converted to heated living area and serves a bright, airy office for the owner and offers amazing ocean views. This room could easily be converted to a large master bath. Association dues include roll in/out service of trash cans. 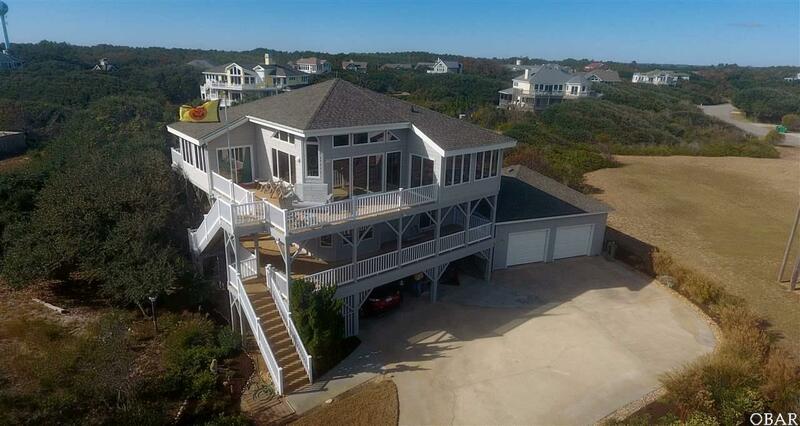 This semi-oceanfront location with such amazing views on a 40,000 SF lot in such great condition with meticulous maintenance and constant upgrades doesnt exist often. This is truly a must see. You will not be disappointed. Easy to show! Plenty of room to add a pool or addition. Home is sold furnished with some exceptions. 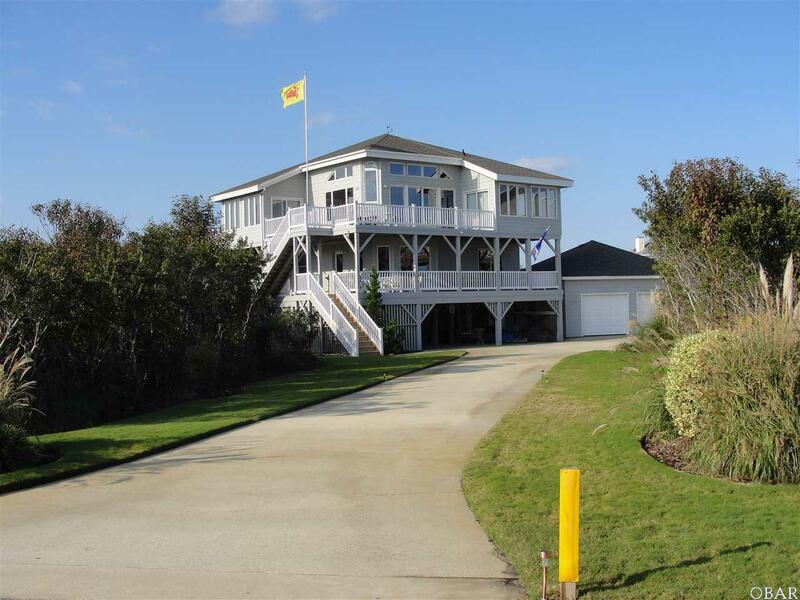 Listing courtesy of Liz Holterhaus of Keller Williams - Obx.